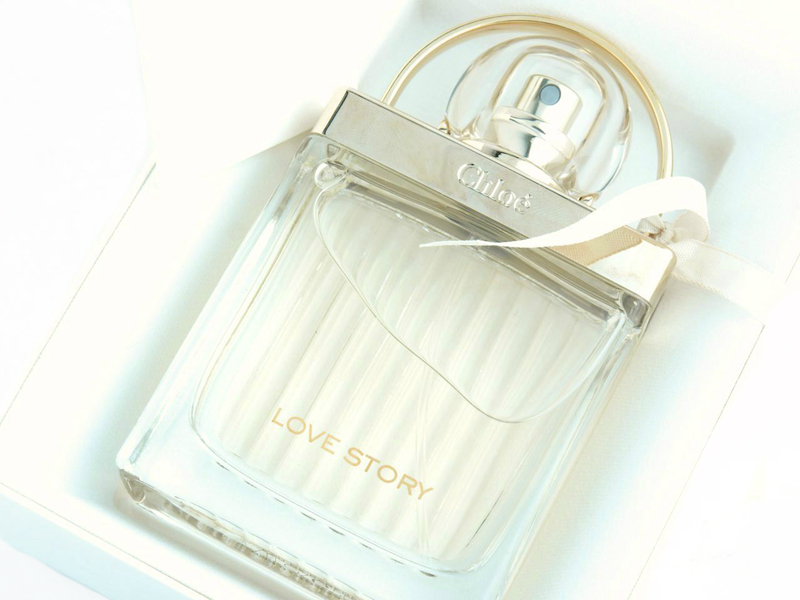 Love Story comes in a beautiful bottle inspired by the love locks on Pont Des Arts "love" bridge in Paris. The clear glass bottle has ridges on one side and the top is decorated with a reflective golden frame. There is a movable, curved handle and the cap is a clear plastic bulb. The fragrance itself is tinted a light tea color. The bottle to me resembles a purse and it is so pretty and delicate. 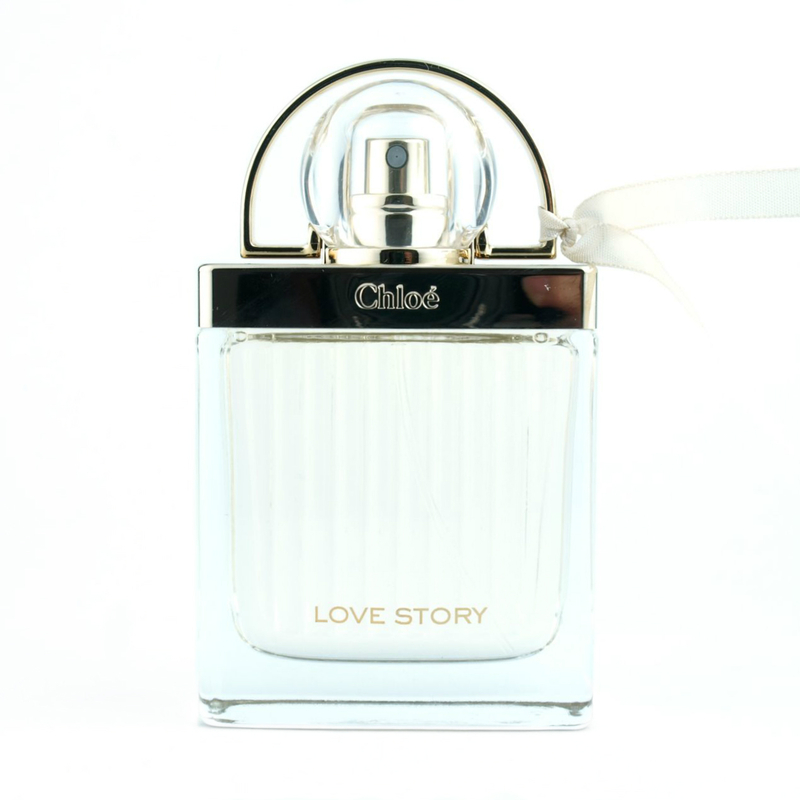 Chloe Love Story starts off with a sweet and alluring orange scent that's very fresh and fun but not at all sharp or tart. As the top notes settle, the jasmine and the rose become more prevalent but the orange scent is still vaguely present. The fragrance has an okay wear (around four to five hours) and it turns warmer and woodier as it fades. Overall, I would describe this as a classy feminine sweet floral, it's definitely one of those work-friendly scents that's also great for special occasions such as an anniversary or wedding. Top Notes: Pear, lemon, grapefruit, bergamot, neroli (orange blossom oil). Heart Notes: Peach, black currant, rose, stephanotis jasmine, orange blossom. Base Notes: Musk, cedar, cashmirwood, patchouli. Chloé fragrances are available online and in stores at Sephora, Shoppers Drug Mart, The Bay and other department and fine drug stores.